Four Barolos from one cru. Four different interpretations of the same wine from one area with unique climatic conditions. Elvio Cogno and the subzone called Ravera represents a unique and inseparable symbiosis. Its soils are capable of producing wines whose grapes come from neighboring vineyards that can yet express distinctive and complementary characteristics. Elvio Cogno has cultivated vineyards in the Ravera zone since 1991. Over time, it became the productive heart of the winery. From eleven hectares, their most important Barolo labels come from this area: Cascina Nuova, Ravera, Bricco Pernice and Riserva Vigna Elena. Always considered an area of the highest viticultural vocation, the Ravera zone is located northeast of the township of Novello. Its hills are swept with the winds of the Alps, and its climate is mitigated by the nearby presence of the Tanaro River. Its high elevation of the vineyards (on average 400 m above sea level) and its calcareous-clayey soil give these wines a characteristic freshness and minerality. This is the hard work that created Vigna Elena, the winery’s most prestigious Barolo. Vigna Elena’s intense aromas come from a mono-variety planted in 1991, a unique nebbiolo clone called Rosé. Warm and enveloping on the palate, its bouquet releases spicy notes; it is noted for its brilliant garnet red, particular to its clone. 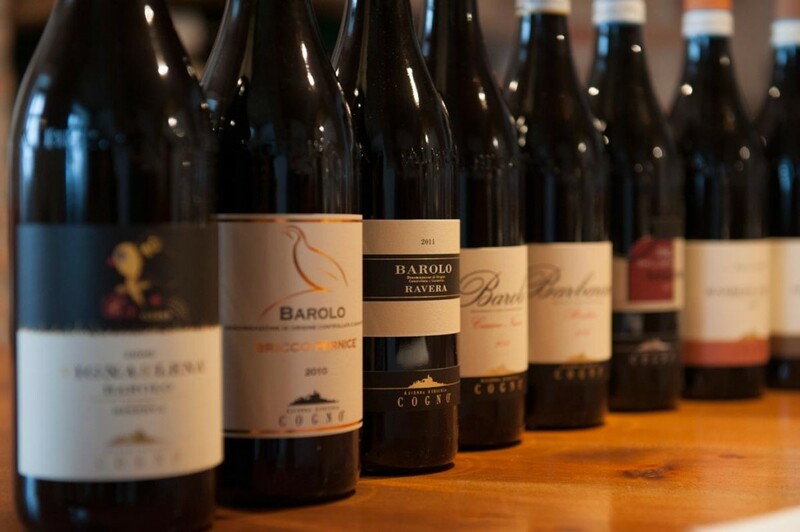 Bricco Pernice comes from a historical vineyard of Ravera whose vines are as old as fifty years. The soil, more calcareous, and traditional wine making method give this wine an enveloping softness that evolves to reveal power and smoothness, typical of the zone, over time. Barolo Ravera is created from vineyards with calcareous-clayey soil that are up to seventy years old. It stands out for its fineness and savory notes that are accented with elegance, structure, and an excellent longevity.